a laser harp generator connected to a projector with ilda connection, a wired footswitch for basic operations, a wired sensor to detect hands on beams, a wired connection with a keyboard or synth module or PC ( called MIDI or MIDI-USB). The goal is to get rid of wires when possible: we start from the Footswitch. Let's cut the wire! 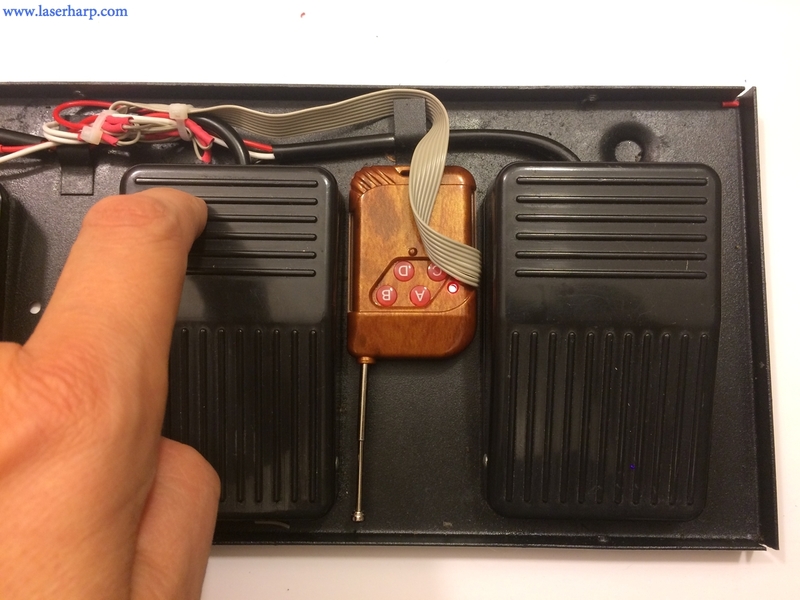 We start dismounting the footswitch and the remote controller. Just unscrew the covers on both of them. 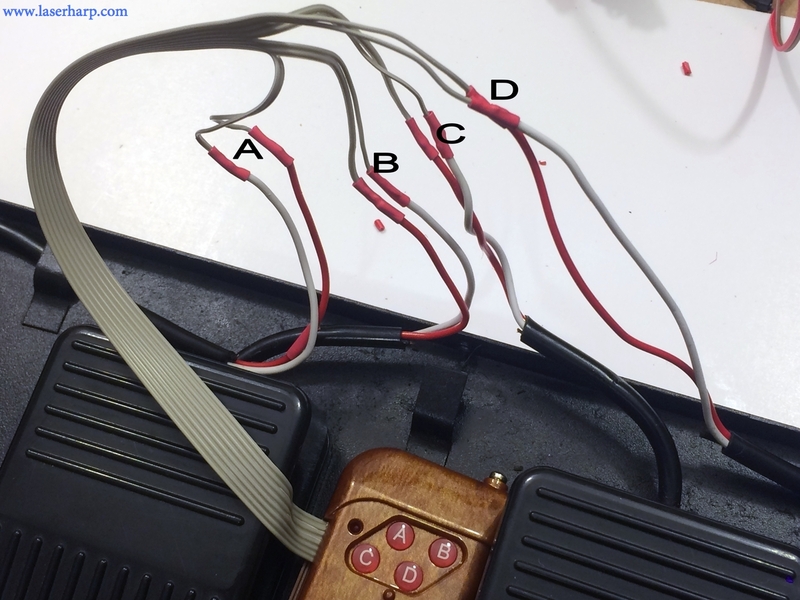 We find 4 pairs of wires in the footswitch and 4 switches on the remote. they must be connected with 4 pair of wires. Solder each pair coming from the remote with the corresponding pair coming from the switch. There is no polarity, so it is enough to respect A,B,C,D sequence. Check pressing each switch, the red Led on the remote must turn on. 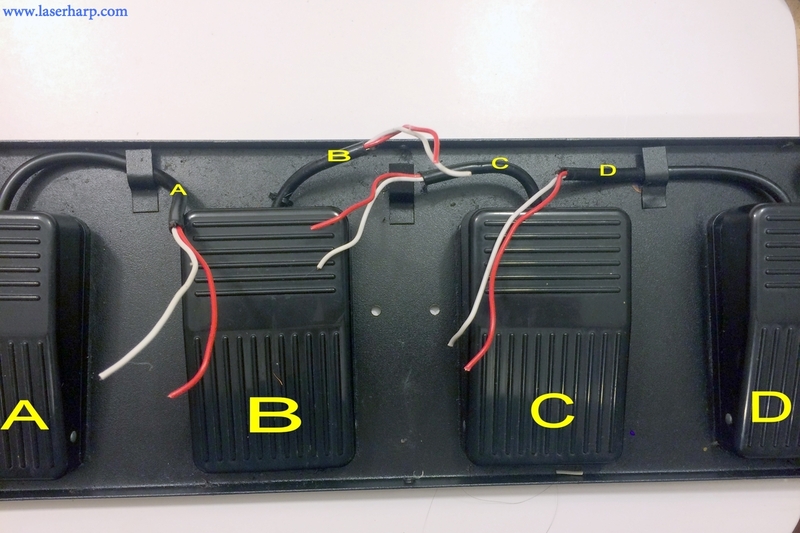 Find a suitable place to put the remote inside the footswitch, fasten with adesive tape and put the cover back. 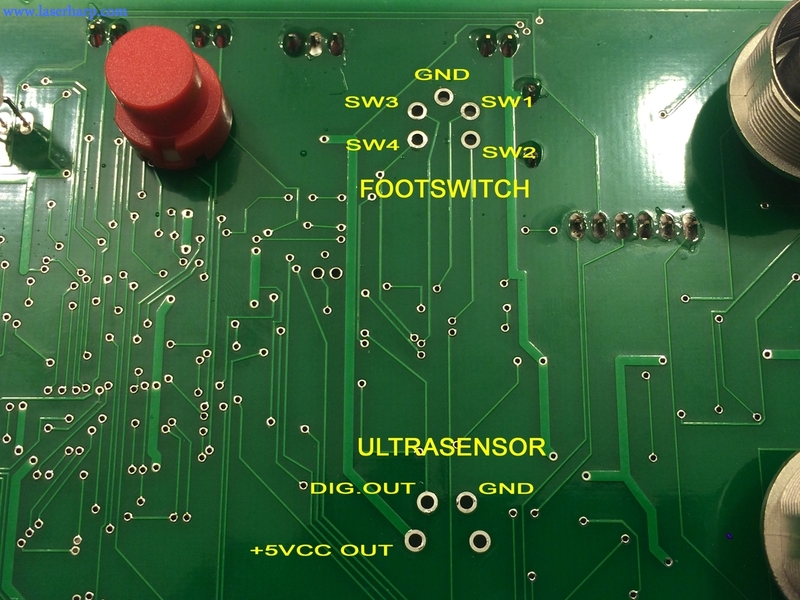 The footswitch is now ready. 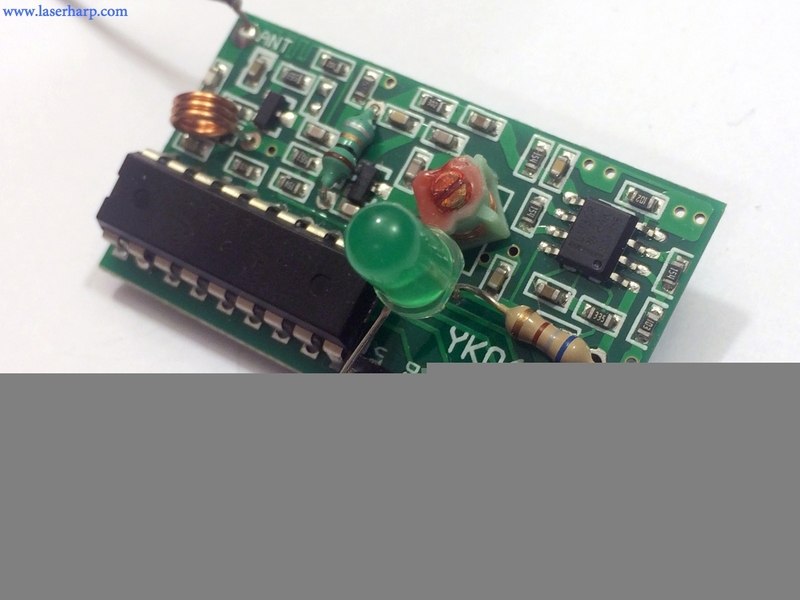 This module requires a supply voltage of at least 5V. 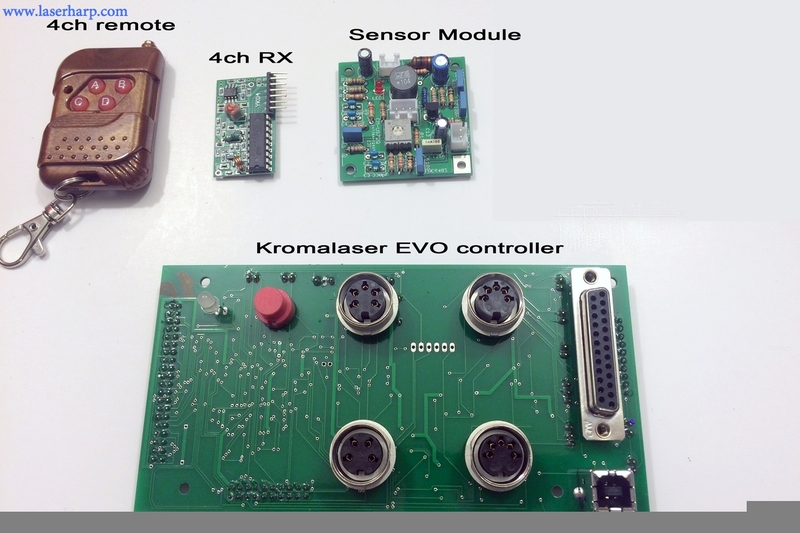 We will take the 5Vcc supply form the EVO board. We added an Led to the module as indicated in the schematics: The Led will lit when any switch will be pressed on the transmitter side. Now let's have a look at the EVO board. 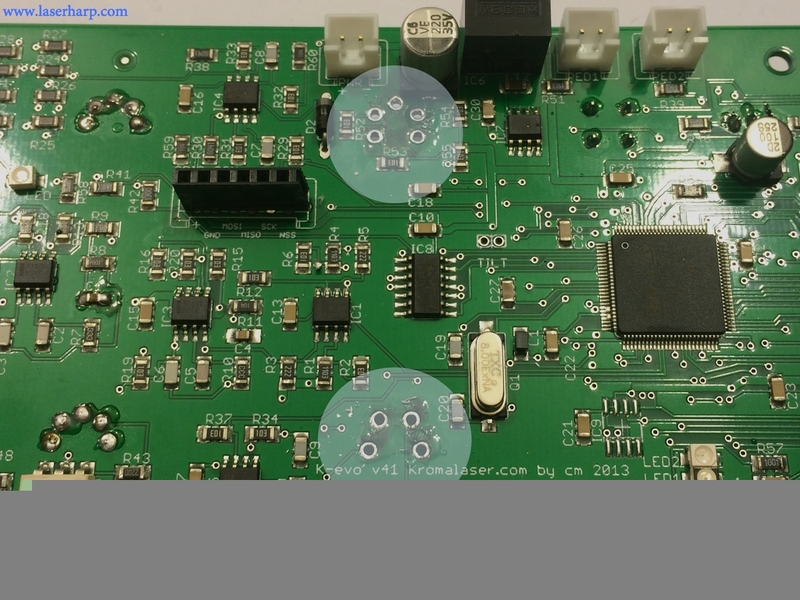 The board and sensor come with a manual and schematics, so it is very easy to understand how to connect our receiver. First we have to remove the DIN plugs on the panel. 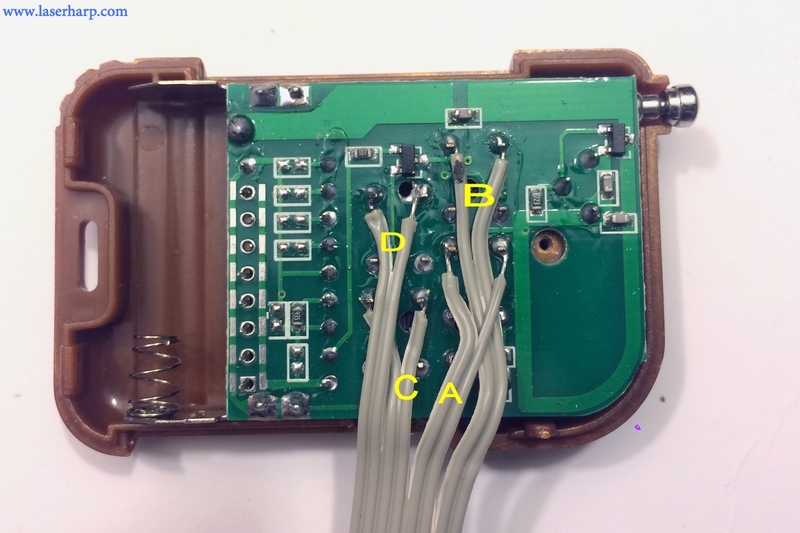 Well this is not really needed, we could solder wire on the back, but it made us comfortable to think that we will not use these connectors anymore since we are going wireless. 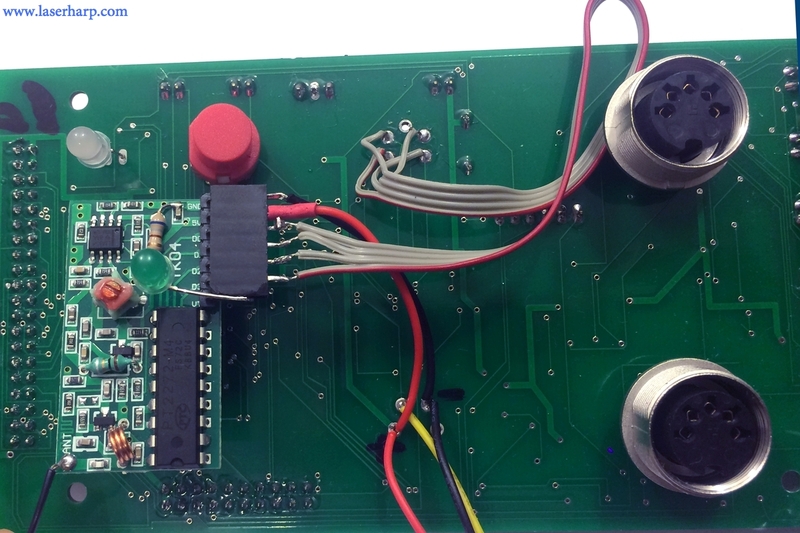 Take care to insulate the receiver board from when placing it near the Evo board. 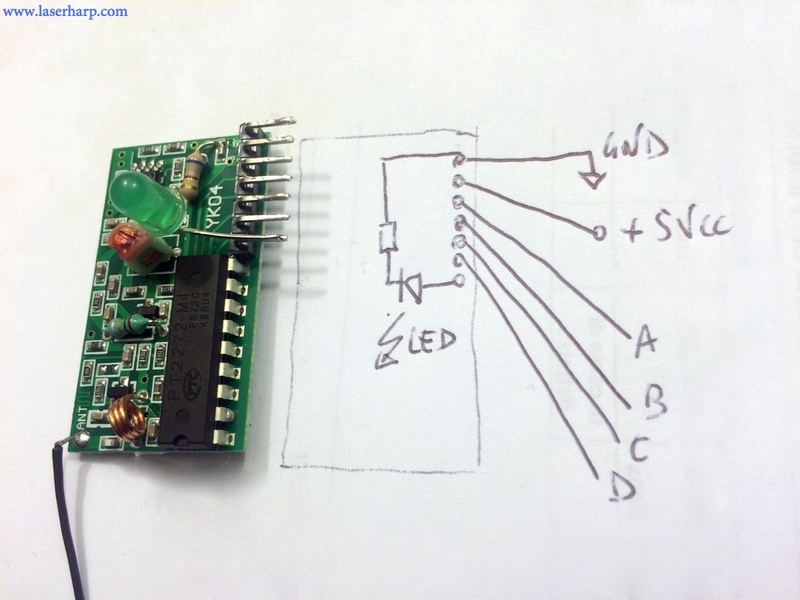 Test: give supply to EVO board following its manual's recommendation, and press a switch: the green led will lit. If it doesn't, something is wrong in power supply of the receiver. 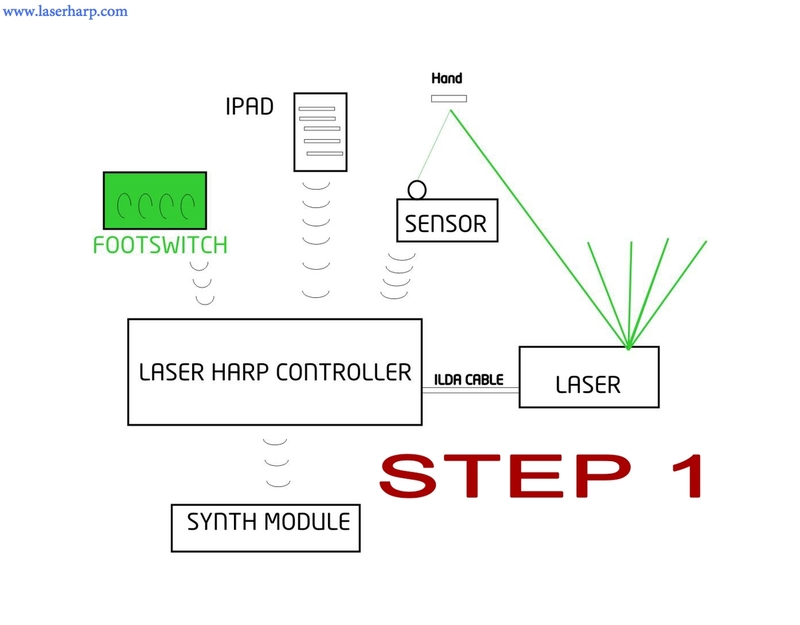 The laser harp should open, as described in the EVO manual.